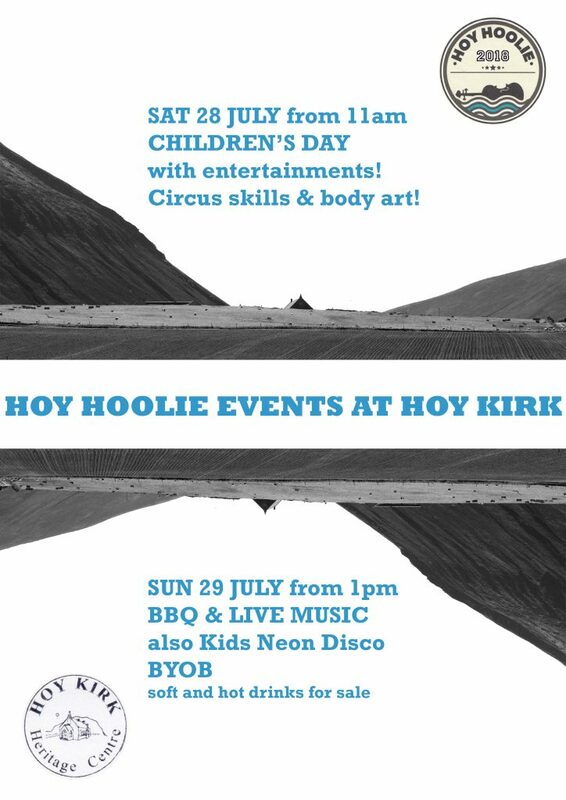 Live music and barbecue, and a kids neon disco at The Hoy Kirk on Sunday. Depart Hoy Kirk 17.30, calling into Lyness for the 18.15 ferry to Houton and then on to the YM, Longhope. 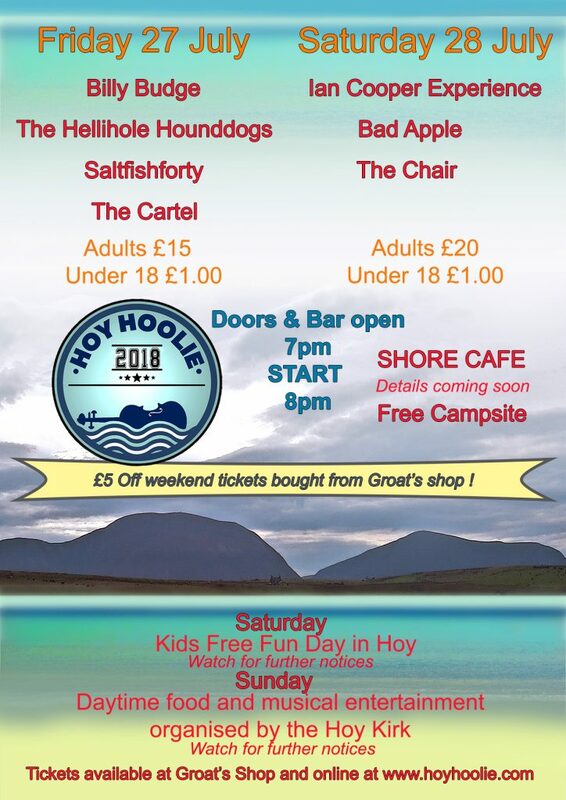 See Hoy Hoolie 2018 page for show list. HOY HOOLIE TICKETS ON SALE NOW! We are pleased to announce that tickets are now on sale for the 2018 Hoy Hoolie. For the benefit of the local community, tickets are on sale in Groats shop for one week ahead of the online ticket sales going live, and tickets will continue to be available at Groats shop alongside the online ticket sales. 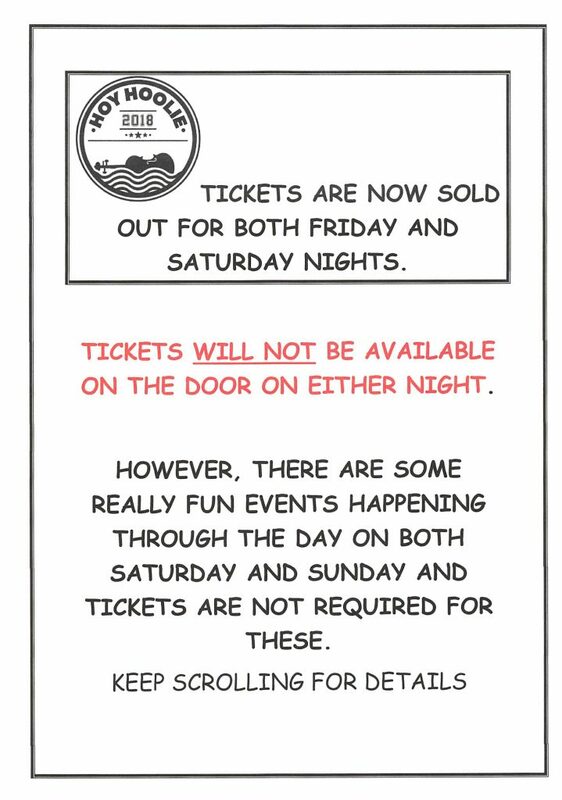 In addition to this, for those of you who wish to attend both the Friday and Saturday evening, we have applied a £5 weekend discount. Please note, £5 discount will only be available at Groats shop and will not be applied to tickets purchased online. 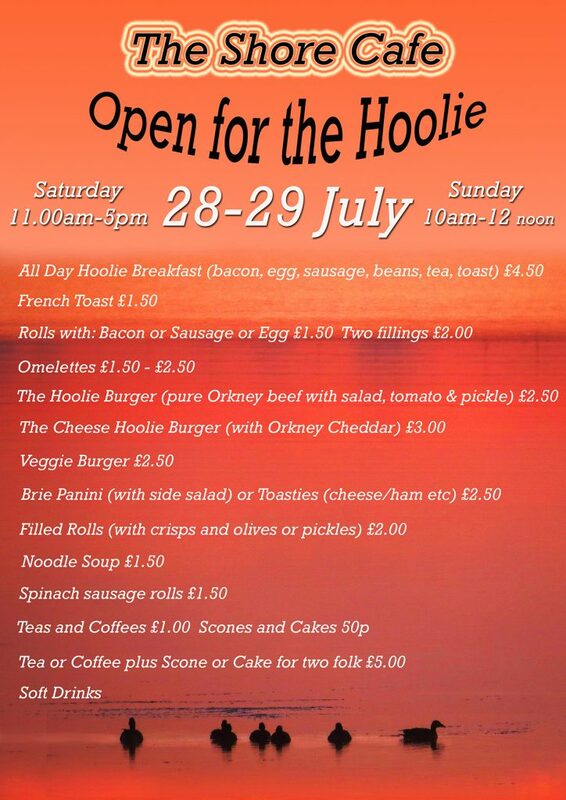 Thanks for supporting the Hoolie and we look forward to celebrating another successful year! 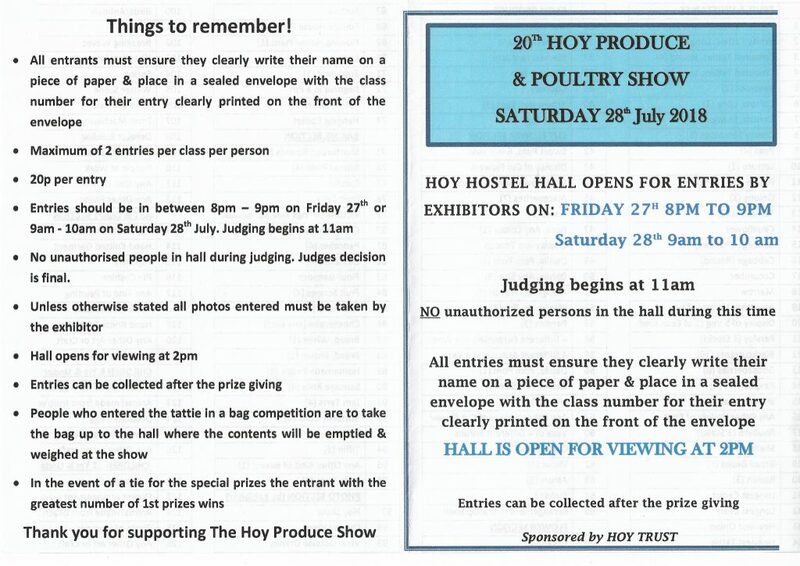 We’re linking with the Hoy Community Association for their annual Produce & Poultry Show and this year it’s their 20th anniversary. This is being held at the Hoy Centre on Saturday open to the public from 14.00, any entries for the show can be put in on Friday evening between 20.00-21.00 or Saturday morning 09.00-10.00 Judging starts at 11.00. More details to follow. The Youth Workers on the island with support from Hoolie funds are putting on kids entertainment on Saturday in Hoy to link with the Hoy Produce & Poultry Show. – Details to follow. 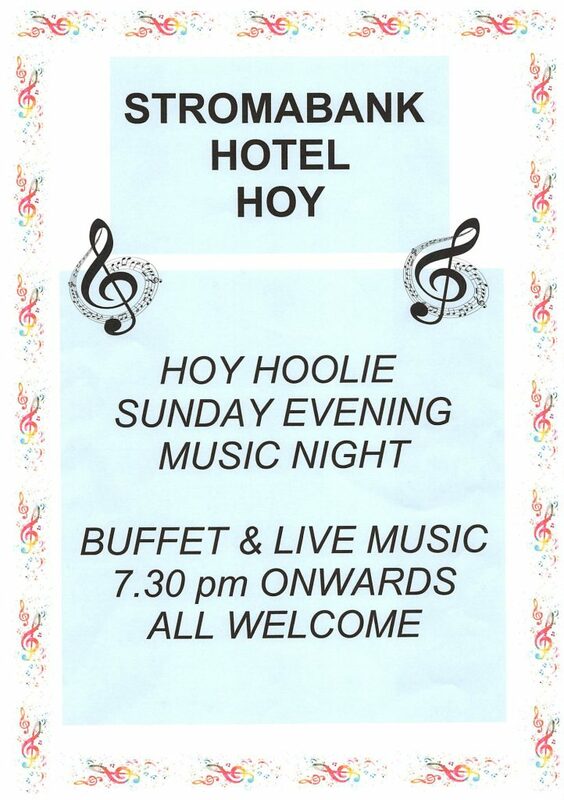 The Hoy Kirk are organising musical entertainment and food on Sunday afternoon, further details of this to follow. Funds raised from this will be for the Hoy Kirk. A bus will be available from Longhope to Hoy on Saturday and Sunday for the daytime events – details to follow. Tickets will be on sale from the end of June – Keep an eye on the Hoolie Facebook page. At long last, we’ve had some time to pull the end of the Hoolie together, just one grant return to do now. We thought you would like to see how we did, where the money came from and where it went. We were so pleased to see that this year covered its costs and we still have a good reserve to go forward with. We won’t be able to do a 2017 Hoolie, but want to look towards 2018. Some people have suggested that every two years would keep it fresh and avoid volunteer fatigue. For our part, we need more “core” support. The set-up, weekend and knock down brings a lot of wonderful people together, but all the work that goes on for months either side needs more people who will help work out the format of the weekend, find the right acts, chase the funding, arrange travel & accommodation etc, so if any-one is up for helping with the boring stuff, please let us know. Chas Whatmore has created this lovely video of the 2016 Hoolie, so enjoy and remember and have a fantastic 2017. Loads of love and thanks to you all.